AIB is an investment bank which provides cross-border investment banking services such as mergers and acquisitions and advising. AIB has networks from the APEC and ASEAN member countries, enabling it to participate in over $4 billion worth of financing transactions worldwide. BDO Unibank, Inc. is a Philippine banking company which also provides investment options and advise for investors. Through its BDO Trust and Investments Group (BDO TIG), investors can customize their portfolio of investments based on their appetite for risk, or choose to invest in BDO’s Unit Investment Trust Funds (UITFs) and other options. BPI Capital Corp. is a subsidiary by Bank of the Philippine Islands established in 1977. This investment banking firm provides financial solutions to investors such as advisory, M&As, capital deals, underwriting, securities, brokerage, and other full-service corporate financial options. As of 2018, BPI Capital was named as the Best Investment Bank in the Philippines. Chinatrust Commercial Bank (CTBC) in the Philippines was established in 1995. Leveraging the CTBC parent bank in Taiwan, CTBC Phils. helps businesses and organizations build their investment portfolio. Serving as a Trustee, this bank manages, holds and controls trust fund subjects through its Trust Agreement for Corporations. 31st St., cor. 3rd Ave.
Citibank is a foreign commercial bank with a branch in the Philippines. Along with its consumer banking and corporate baking, it also provides investments, advisory, brokerage, and other trade financial services. 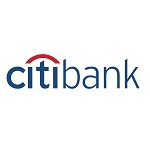 Investors can choose among Citibank’s options for money market instruments, bonds and notes, and investment funds. Deutsche Bank is a foreign commercial bank with a branch in the Philippines. Its Corporate and Investment Bank (CIB) division, created in 2017, comprises of the bank’s Equities, Global Transaction Banking, Corporate Finance, and Equities businesses. EastWest Bank features an Investor Relations (IR) program which aims to provide equal information access for all stakeholders and potential investors. This bank’s Investor Relations Officer (IRO) serves as a representative of the bank to communicate with the investors. HSBC was a local bank aiming to serve international needs, especially for investments. Currently, HSBC is present in 66 countries and territories worldwide. Its services include commercial banking, retail banking and wealth management, global private banking, and global banking and markets. ING Group was the first foreign bank in the Philippines whose status went up into a universal bank in 1995. Now on its 25th anniversary in the country, ING Bank has established itself as a key player on various financial markets, M&As, and specialized sector financing. JP Morgan Chase provides investment banking and treasury services for various multinational companies, individuals, and investors worldwide. Their services include capital, insights, and solutions related to capital raising and investment options.